With over 15 years in the real estate industry and 20+ years in hotel and retail sales, Susan brings invaluable knowledge to the DC/VA real estate market. Having specialized in relocating families already in the local market as well as those coming from abroad, she has complete knowledge of our unique market and works to make both buying and selling as stress-free as possible. 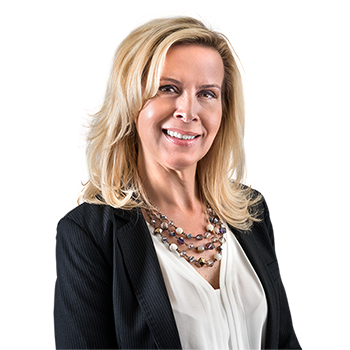 Susan�s goal is to service each client from beginning to end, helping navigate the intricacies of the process, all while developing a successful working relationship that continues long after the transaction is done. �Whether working with a first-time homebuyer or a handling a multi-million luxury property, I understand first-hand how challenging and stressful a process buying or selling can be. My goal as a seasoned agent is to see my clients through with a steady and dedicated hand,� says Susan. I have worked with Susan Thomas for about nine years now, first as a property manager for my rental property and since then with the sale and purchase of a few homes. More recently Susan helped me find my current home. Susan takes the time to listen to what you are looking for, provides insight to the neighborhoods and the options based on your price range and specifics you are looking for. She also is quick to pick up on your style and what would be a good fit for you. She is also very helpful in identifying suitable contractors for repairs or any remodeling. Our experience with Susan Thomas was fantastic. As a buyers agent, she dealt with the pressure of our very brief window of opportunity for a move with professionalism and superior responsiveness. She not only identified the perfect home for us that was not yet on the market, she helped us negotiate a fair price, supplemental items, and favorable buying conditions. What we valued most was her friendly, candid, and knowledgeable communication. This made the entire experience much easier to navigate, and we couldn't be any happier with our new home. Susan is an expert in the area and in the business of real estate, and we recommend her to anyone in the market for a home. Susan has tremendous experience in the DC, VA, and MD markets and it show. Her experience and knowledge came out when she helped me sell my house and purchase one. When selling, she staged and marketed the house wonderfully to get it sold at the price that I wanted. And during the purchase process, she understood my needs and wants and formulated a home search accordingly. She showed me homes within my search criteria and got me a great home within my budget. I would definitely ask Susan to help me with any of my housing needs in the future. My family and I relocated to Washington, DC, on January 5, 2015, from Paris, France. Needless to say that it was a big move for us, especially with two children. We were looking for a realtor who could help us find a suitable home within the school district that we had chosen. I did call a few agents listed on the Global Mobility guide, but no one took the time to call me in Paris and discuss our needs except for Susan. She took the time to call and find out the details of our move and needs in terms of housing and schools. I had no hesitation in choosing Susan as our realtor. She went beyond and above her normal responsibilities as a realtor, actually she was more of a relocation consultant. She gave us a tour of the various communities, helped us with the Social Security application and provided us with a wealth of practical information. She also found us a home in a great neighborhood close to the schools we wanted. I recognize that the Bank does not provide relocation services to staff relocating to HQ, and the rationale was that staff can easily find the services they need in the US. I believe that this type of service would be very beneficial to our staff as it can facilitate a smoother transition for the family and decrease stress to staff. Although the US is a developed country, the way of life is very different compared to other countries, and navigating through the administrative procedures for the first couple of months when the staff and their families are settling in could be overwhelming and stressful. In conclusion, I would definitely recommend Susan to other staff because of her excellent services as a realtor/relocation consultant. Susan is the consummate professional, always putting your interests ahead of hers. She is very knowledgeable and experienced and provides remarkable service, far beyond what anyone could reasonably expect. Susan takes a comprehensive approach to getting the full job done for you, rather than taking a partial and transactional perspective. She pays attention to both the big picture and the details equally well. What�s even better she does all this with a sense of humor and a genuine smile.